In 1951 the Southern Region starting building a new type of EMU for the suburbs of London. It was called the “EPB” because the units were equipped with Electro pneumatic brakes. The first batch of units were built to the Southern “Bulleid” design, later units were introduced in 1957 and were to BR design. Two car EPB’s were introduced in 1954 for the Newcastle to South Shields line, however in 1963 this line was de-electrified and the EPB’s moved to the Southern Region and were classified as Class 416 units. 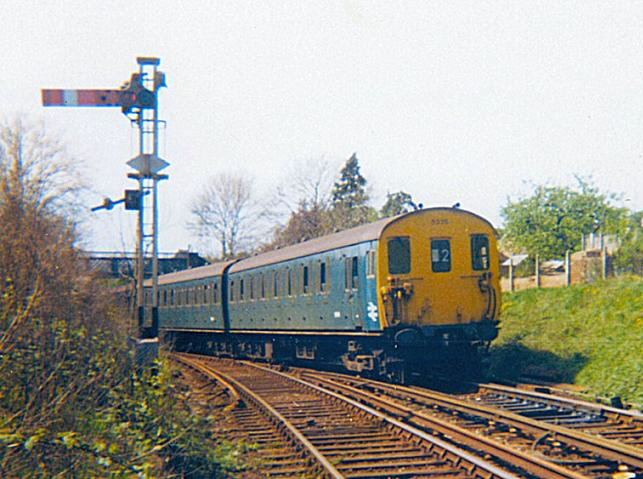 In 1985 some 2-EPB’s were moved to North London Line and were fitted with window bars. EPB’s were replaced on the Central and Western divisions by Class 455 and 456 EMU’s however they were left to continue on the Eastern division until the end of March 1995 when the final EPB was withdrawn. These days there are a couple of EPB’s on the preservation scene, one of which is at the East Kent Railway.